Every February since 1995, I have done Interpretive Touch Drawing at the Women of Wisdom Conference in Seattle. A large number of these drawings have been incorporated into this powerful book. 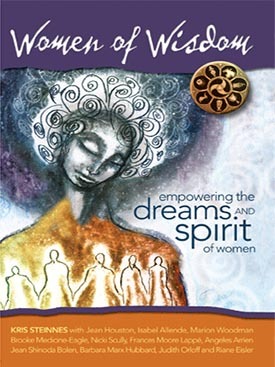 It is an inspiring collection of keynote presentations from Women of Wisdom between 1995 and 2006, filled with stories, art, poetry and songs by Women of Wisdom participants. See a retrospective of drawings created during the conference from 1995 until 2008.